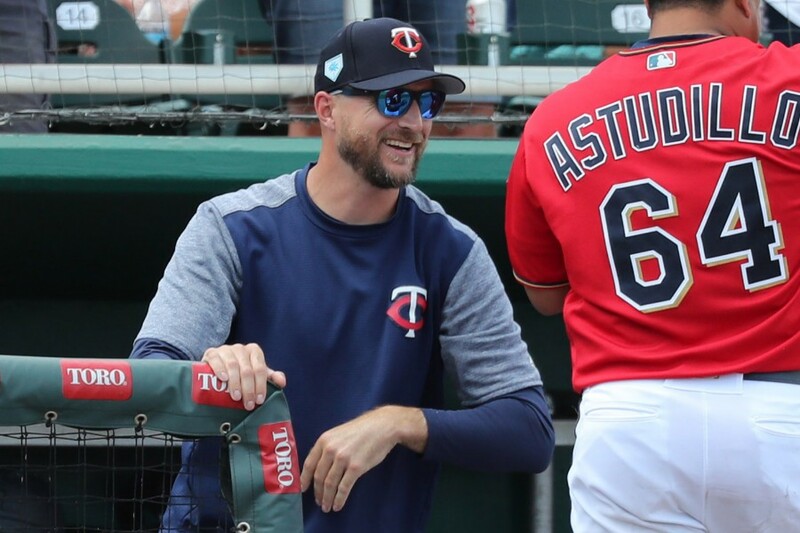 Opening day 2019 is nearly upon us, and while the Minnesota Twins look to take the next step toward a return to the postseason, they’ll do so with as green of a manager as possible at the helm. The Woonsocket Rocket is just 37 years old, and Rocco Baldelli has coaching experience in only one other organization. Working with the Tampa Bay Rays since 2015, he comes to Minnesota bright-eyed and with lots of promise. When we boil it down though, it’s results that matter. For the most part, managers in major league baseball are generally an “old boys club” of sorts. Talent is often recycled, and significant ties necessitating an interview are often present. While we’ve gotten to a period of progressive thinking from an organizational standpoint, many teams go with a relatively predictable commodity to head up the clubhouse. Looking back over the past decade or so, there’re only a handful of managers loosely relatable to what Minnesota will embark upon this season. Marrying the circumstances into more of a perfect storm, the sample size gets even smaller. Of the foursome examined, Chip Hale is the elder of the bunch. A former Twins player, he was selected as the Arizona Diamondbacks skipper at the age of 50. Interviewed and hired in the same cycle that Minnesota went with Paul Molitor, Hale entered a similar situation as the St. Paul native. The Diamondbacks were coming off a 64-win season and needed some life breathed into the club. Hale produced initially getting the Dbacks to a 79-83 record in his debut season. The finish was only good enough for third in the NL West however, and came in three games under their expected win total. A ten-game decline in 2016, on par with the expected win total, got Hale ousted from the job. With an affinity for former catchers myself, the longest tenured of this group is Mike Matheny. He was 41 back when St. Louis hired him in 2012, and he was brought into a great situation. Heralded skipper Tony La Russa called it a career and turned the reins of a World Series winning club over to the former Cardinals catcher. Matheny would lead St. Louis to six straight winning seasons, capturing division titles three times, and finishing third only in his second to last year. The message from the clubhouse had grown stale by 2018 though, and it was apparent there was little continued benefit to his leadership going forward. As the organization underwent somewhat of a transition from the old guard toward looking to the future, it became apparent that 2018 was a worthy time for a split. It’d be impossible to perform better in year one than Alex Cora did with the Boston Red Sox in 2018. The 42-year-old was gifted a 93-win team that failed to meet expectations. John Farrell had seemingly lost focus of the clubhouse, and this isn’t an organization that celebrates Postseason berths. After dipping out in the ALDS the year prior, Cora directed Boston to an MLB best 108 wins, and they dropped just three games en route to a World Series victory. Arguably the most interesting name of the group is also the most controversial. Also 42 years old, Gabe Kapler joined the Phillies with zero coaching experience. Working as a baseball analyst, he hadn’t been directly involved with a big-league team since he retired in 2010. Known and regarded as an outside-of-the-box thinker, and someone not afraid of trying new things, plenty was made about what the reception of Kapler would be in the clubhouse. He inherited a 66-win team and generated a 14-win improvement (beating the expected total by four games) during his first 162 game slate. Reviews from players around the league have been mixed on his style, but turmoil hasn’t spilled out of the clubhouse, and it’s hard not to be intrigued by what the next step forward could look like. For Minnesota, Baldelli isn’t the contrarian that Kapler is, but he certainly represents a similar level of green ability. Yes, he’s had a brief amount of experience in the coaching realm, but being the man is completely new to him. That said, there’s almost no better marriage between the initiatives of this current front office and the direction of the organization than what it appears he will provide. While Paul Molitor might have gotten a raw deal, it’s seemed that the vision of this front office is to have a manager who can be a driver for the principles and tactics deemed important by the baseball ops department. While not only being open to knew ideas, the right guy is likely someone who can also get buy-in from players and coaches across the board. Until the games are played, it’s impossible to quantify how the fit itself will work. Judging by the history above, we’ve seen that some initial success is directly correlated to what you’re being handed. This isn’t a revolutionary principle by any means, and while Minnesota took a step backwards winning 78 games in 2018, there’s a good set of puzzle pieces in this blueprint. Knowing that so much went wrong for the squad a year ago, a good deal has been added to the talent pool, and since the manager is handpicked and aligned with the front office, Baldelli should hopefully have been put in the optimal position to succeed. At the end of the day, there’s only so much statistical difference that can be felt from the man writing the lineups. Philadelphia likely won’t attribute all 14 games of improvement to Kapler directly, and that’s the same scenario Baldelli faces. Sure, he’s not going to be the lone piece of the puzzle, but he can be a key cog in a successful machine. As time goes on, we’ll figure out how a green manager, and a handful of newly appointed big-league coaches, work out. The opportunity is there for this group though, and much credit will be given to them if they’re able to run with it. I followed Rocco's playing career from afar even back when he was just a prospect, but I didn't know anything about his personality. I was thinking maybe we'd be getting a Kapler type. He's a little, I dunno, high strung? He's what my wife would call extra. Instead, Baldelli seems like a super chill dude. I think it's beneficial to have a steady hand in the dugout to help keep things even over the long season. The guy he's replacing seemed pretty even-keeled too, I guess.